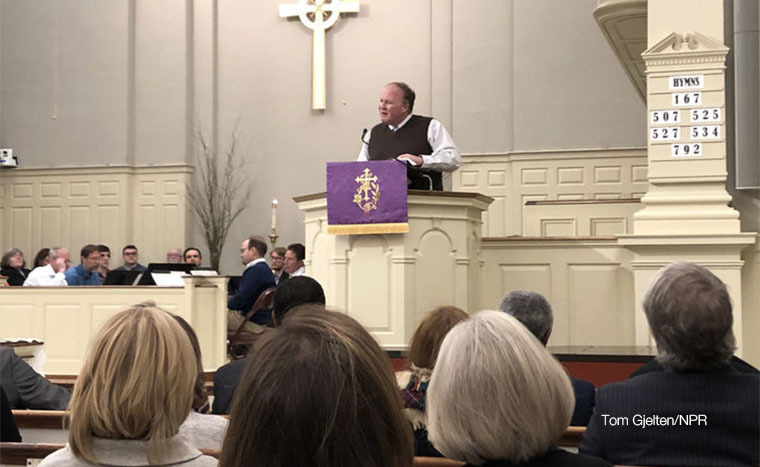 On Ash Wednesday, Tom Gjelten, religion corespondent for NPR (National Public Radio), spoke with Christopher and several members of our congregation on civility in the church. The visit was prompted by an article Christopher wrote on Pastoring a Purple Church and NPR’s special series on Civility Wars. On Sunday, April 7, the feature aired during All Things Considered.